NeurOptimal®’s EEG biofeedback or neurofeedback system is a powerful technologythat can greatly enhance your well-being and generally help you get the most out of life. Brain training can unlock untapped cognitive potential and help you achieve long-held goals and dreams. Biofeedback has been around for almost 40 years. Because neurofeedback has been time-tested, it is also very safe. The NeurOptimal® proprietary neurofeedback system is a highly personalized brain training software that prompts the central nervous system to help make the best use of your brain’s neural resources. Neurofeedback training for the brain is similar to physical training for the body. Much of our suffering comes from pervasive recurring thoughts and feelings in which our minds become emotionally stranded or cognitively “stuck”. Neurofeedback prompts the brain to draw from its existing resources and pull itself out of these mental “ruts”. The result is a more open and positive mindset in which obstacles are more manageable and problems more resolvable. Much like a mirror that promotes self-correction, NeurOptimal®’s proprietary neurofeedback program monitors your brain waves and then provides “feedback” to your central nervous system about what it has just done. When the software detects a tremor in your brain wave pattern, it sends an audible signal that encourages the brain to “reset” and self-correct. Neurofeedback training provides a multitude of benefits for the brain and body, including: improved sleep, heightened mental clarity and enhanced cognitive performance. Adults, as well as children, have used NeurOptimal® neurofeedback to address the negative effects arising from depression, anxiety, PTSD, Alzheimer’s, autism, sleep disorders, misophonia and other complaints. The FDA has even approved neurofeedback as effective for stress reduction. NeurOptimal® neurofeedback encourages an overall positive mental outlook and a deeper understanding of the mind/body connection. For those looking to enhance their daily health and wellness, neurofeedback training can be an excellent supplement to a healthy diet and exercise routine. Along with healthy lifestyle choices, NeurOptimal® neurofeedback can be a powerful tool to mediate cognitive decline that naturally occurs as we age. Just as physical exercise benefits the body, NeurOptimal® keeps the brain fit and resilient. Neurofeedback can help improve memory, recall and increase overall cognitive dexterity in older individuals. A growing number of Olympic and professional athletes now use neurofeedback to provide that critical mental edge which often results in gold medals and championships. When competitors are separated by 100ths of a second, the improved mental focus and physical performance neurofeedback provides can mean the difference between winning and losing. But you don’t have to be a pro athlete to enjoy the benefits of neurofeedback. Looking to improve your golf game? Want to be a better pitcher for your company softball team? NeurOptimal® can help. and has no known side effects (apart from improved sleep!). Your NeurOptimal® trainer may have you fill out a survey listing the complaints and/or challenges that have brought you into his/her office. You will next be placed in a quiet space and in a comfortable position. The trainer will attach special sensors to your head that will feed your brain wave patterns into the NeurOptimal® program’s software. 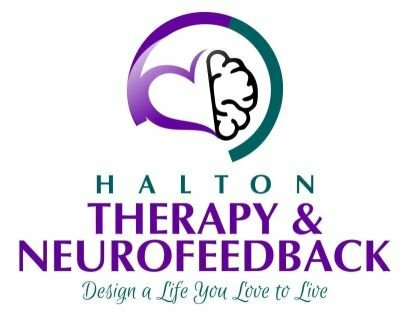 A neurofeedback training session is relaxing, enjoyable and typically lasts about 30 minutes. As the session starts, you will hear music play though headphones and perhaps watch relaxing geometric images gently morph across a computer screen. You will hear occasional “skips” or interruptions in the music – this is the signal that prompts your brain to “reset” and optimize itself. At the end of a session, you will most likely feel less stressed and more mentally clear. It is unlikely you will experience any negative after-effects as NeurOptimal® does not artificially “push” the brain in any specific direction. Many users experience deeper sleep and vivid dreams after their very first session. How is NeurOptimal® different from other systems? 1. NeurOptimal® is effective because it is designed to work best with your individual brain. It does not attempt to “fix” predetermined conditions or pin down specific problems. This was a limitation in many earlier neurofeedback systems. Often, resolving one problem in one area could cause problems elsewhere. The heart of the NeurOptimal® system - Dynamical Neurofeedback®- is a proprietary technology based in neuroscience and specifically designed with the naturally non-linear function of the human brain in mind. NeurOptimal® is built to harness the incredibly dynamic nature of your brain in a way other systems simply cannot match. As a result, this neurofeedback system can be used effectively to address a wide array of complaints without specifically “targeting” them from the outset of the training. 2. NeurOptimal® neurofeedback is extremely safe. Research shows your own brain “knows best” and therefore the NeurOptimal® brain training system does not force or “push” the brain in any one direction. Basically, Dynamical Neurofeedback® provides your brain with the information it needs to correct itself and function at its most optimal. NeurOptimal® simply enables your own brain’s natural process of self-correction. 3. NeurOptimal® requires no effort on the user’s part. Some brain training systems require the user to “interact” by playing games or solve puzzles during sessions. This additional level of interaction is unnecessary with the NeurOptimal® neurofeedback system. During a training session, you can simply relax and enjoy! Package of 10, $990.00 (to be redeemed within 6 months). OR rent a system to use at home! Systems are also available for purchase, please ask me for details! Should you choose to purchase a system through me after renting one, I will rebate up to $200 of your rental fee - please enquire for details.